Morganite is the pink variety of Beryl. It helps to attract and maintain love. Morganite activates and cleanses the Heart Chakra. Morganite eases symptoms associated with chest ailments such as emphysema and asthma. It may help with heart palpitations, thyroid problems and nervous system disorders. Morganite is a very gentle stone, allowing for easy, gentle release of emotions. 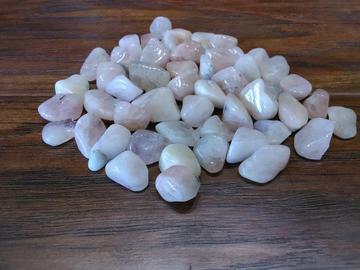 Those overwhelmed by the huge Heart Chakra opening brought on by Rose Quartz will resonate better with Morganite’s slow, gentle opening that moves at the rate that is perfect for each user. Morganite’s clear and pure heart energy eases the pain of old emotional wounds and forgotten traumas.